The BamVino captures your love of baseball and wine. 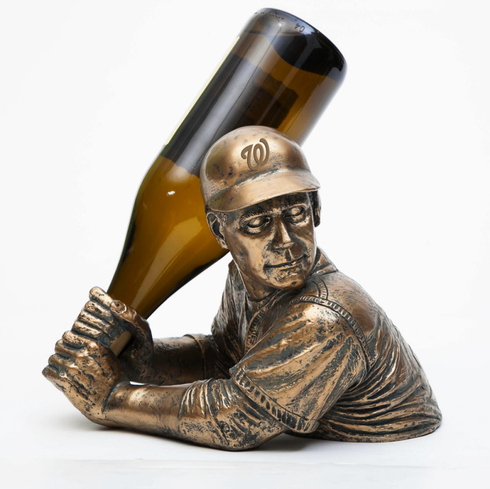 Sculpted to look like a baseball player getting ready to hit a homerun for the Nationals, the bottle fits top down into the player's hands to form the bat. The BamVino is sure to be an instant conversation piece and the beautiful, bronze colored finish will fit into any sports fan's decor. Raised logo on the front of the helmet. Number 00 on the back. Appx. dimensions: 7.75" tall x 10.5" wide x 8.5" deep.